Island SoapBox: Island SoapBox recommends Katie Schaan and her album "Close to Me"
Island SoapBox recommends Katie Schaan and her album "Close to Me"
Island SoapBox was lucky enough to sit down with the talented Victoria musician just last month, and with her album release just around the corner, it's a great time for more recommended listening. 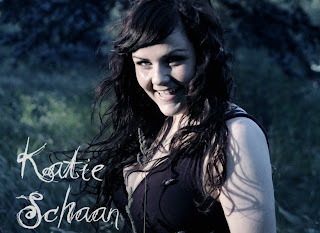 Close to Me is the name of Katie Schaan's debut album. Admittedly it's a more "Poppy" spin than I usually go for, but Schaan's talent pulls me right in. Her voice is smooth, and the music behind her changes quite a bit keeping you interested. I'm not sure what it is, but I think her voice would lend itself to Jazz quite nicely (that's my random one-off). One of my favourite things about the album is it hooked me from the first note of the first song "You". It's amazing what that first impression can do for you, it really sets your mood and expectations in a hurry. The way her voice sounds, along with the first riff instantly put me in a great mood with positive expectations. I think it's a dynamite debut effort. The album shows a great range in the Vancouver Island Singer/Songwriter talents, that at the very least will create an interest to see her live show. She has a tour starting up soon in support of the 9 song effort. With her charming personality as well, I imagine these will move nicely for her. Making music is what Katie loves to do, and doing it for herself is her absolute passion. It's an exciting time for both Katie and her growing fan base, and there's no reason to think this isn't the first of many Katie Schaan album recommendations.